Undoubtedly, this is one of the best paid temp jobs on the job market. 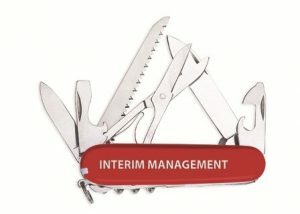 An interim manager, in short, is a temporary manager who takes charge of a company or department for a short period of time, taking over a few or all of the management tasks. The UK has the most established interim management sector in the world, which is worth £1.5 billion per year, according to Interim Management Association. The IMA is part of the REC of which Alpha People recruitment agency is a member too. The impact on a team could be massive if a company suddenly loses their manager due to long-term sickness or leave. An interim manager can be hired to bridge the gap between the previous and the next manager. In this way, the company’s day to day schedule that the company and its staff able to offer the company and its employees security and clarity during turbulent times. If procedures are not running smoothly, or if there are issues that need addressing, it can be easier for an external consultant to deal with this because of their objective point of view. Employees, on their turn, will be more likely to accept their advice because it is unbiased. In order to change the company / department back into a smoothly running machine, different fields of expertise may be appealed to. An interim manager may need to give financial management advice, general direction, deal with grievances, deteriorated commercial relationships, or problems with internal relationships. Roughly speaking, the interim manager will come up with an assessment of the situation and then implement a plan that should still be working after they’ve left the company again. It takes talent, time and experience to get to a senior management level. You’ll need to have a track record of top level executive / project management success in both small and big companies. Strong analytical skills and good psychological insight are also vital. If you have achieved a senior level of management and would like to start doing temporary assignments it is helpful to sign up with recruitment agencies that specialise in executive and interim management roles. Visit our jobs page to view current vacancies.